A Nano Laser Peel is perfect for young and smooth looking skin. Our skin is one of the first things to show our age. If your skin looks tired and stressed, you may be considering treatments like microdermabrasion or a chemical peel. These treatments often use chemicals or harsh materials to remove the top layer of the skin. This promotes the growth on new and healthy skin. The Nano Laser Peel uses light energy to instantly remove the top layers of the skin without going too deep so the skin’s own renewal process can activate special messenger cells. Microdermabrasion and chemical peels sometimes don’t work well enough, and inferior lasers can leave a layer of heat-damaged cells that interrupt the ability of these messenger cells to communicate. 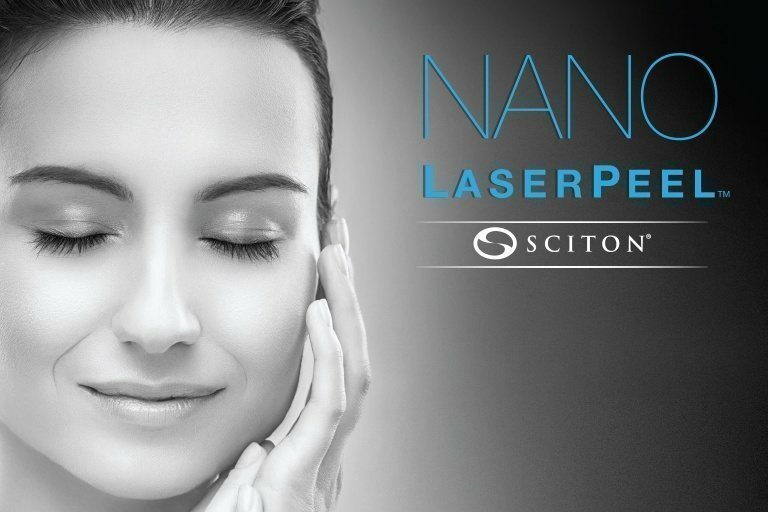 Only the Nano Laser Peel from Sciton has the precision to work at exactly the right skin depth, creating wonderfully luminous skin. The modern solution to facial peels—no more chemicals, harsh materials, or long wait times. Gentle lasers instantly remove just the top layer of skin for radiant results with just 1-2 days. Develop soft, skin and restore a youthful glow to your appearance. Work well with facial injection procedures. Fast and easy treatments available. A great introduction to laser resurfacing. Nano Laser Peel is a perfect introduction to laser treatments for anyone interested in improving the health and look of their skin. No more long appointments for chemicals or manual abrasion. This treatment only takes 5 minutes to complete. With just 1-2 days of recovery, you can let your skin recover over a weekend. Your skin will feel youthful and taught. Make-up goes on easily and blends better than before. If you get botulinum toxin or filler injections to smooth wrinkles around your eyes or mouth, a Nano Laser Peel can restore a fresh look on your whole face.